I just can’t take it anymore! Like its just so bad what they’re doing to my Justin! He’s done so much for us. He sings the best songs ever and dances so well but nobody appreciates him. The whole world just wants to say mean things about him because they have nothing else to do! Its totally not fair. 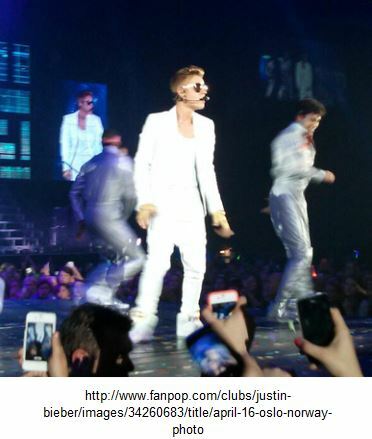 My Justin goes through so much and he gets so tired doing shows all around the world. He needs a break. Everyone deserves a little time to relax and just do nothing! 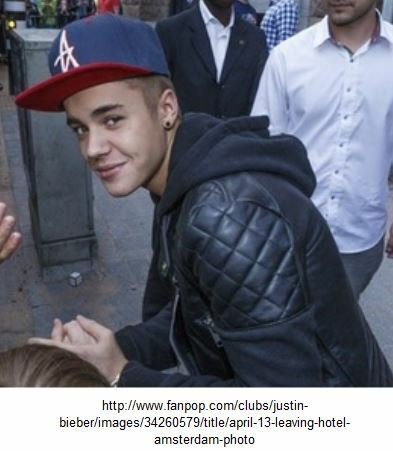 Justin has people following him all the time wherever he goes because he’s so famous and he has no privacy. I follow Justin on Twitter, Instagram, Facebook and everything else because I love him so much. It’s so sad when he says all these things about how he’s not feeling good and other stuff. I hate reading those kinds of posts because then it makes me sad. He always says that people are saying such bad things about him. It’s not fair! They all say that he is a bad person and he is selfish and all these other things but he’s only 19! He works so hard all the time for all of his fans and I know that he loves all of his fans. I just don’t know why he gets in trouble all the time. He never does anything wrong! Justin always gets blamed for nothing! He’s such a nice guy and he always helps people. I just can’t believe it. They say all kinds of horrible things like he’s selfish and spoiled but its all lies! People just like to use him for their magazines and other stuff, which is SELFISH! They talk about his family and his friends and say mean things about them. Like OMG it’s so bad! I hear about all these lies and it’s just so painful because he doesn’t deserve any of it. He’s such a nice guy and I know it for a fact. I know what kind of person my Justin is and he is none of the things that all of the people say he is. He loves all of his fans and I love him too. Everyone just needs to back off and leave him alone. He should be able to live his own life without people following him all the time! Especially because he’s done nothing wrong and he’s just trying to make his fans happy. My Justin needs to get away from all the bad talk and just relax for a little while. Everyone is blaming him for all these wrong things even though it’s not true. He should go on a vacation and then everyone will miss him and start saying good things about him so he comes back. I love you Justin and you’re a really good person and I know it. Just don’t listen to anything that they say because it’s all lies. I can’t wait to see you and feel better Justin! Justin Bieber Will Get Back On The Right Track! Right now, a lot of people are questioning Justin Bieber’s sanity and whether or not he is embarking on the path of a downward spiral that has happened to so many child stars before him. Yes, when people make comparisons between him and Lindsay Lohan, he is quick to defend himself. However, his defense does not seem to be based on his behavior. In fact, his snarky attack on Lindsay Lohan’s income seemed like his way of saying he isn’t like her because he is actively employed, whereas she has spent 86% of her adult life on probation and dealing with legal problems. 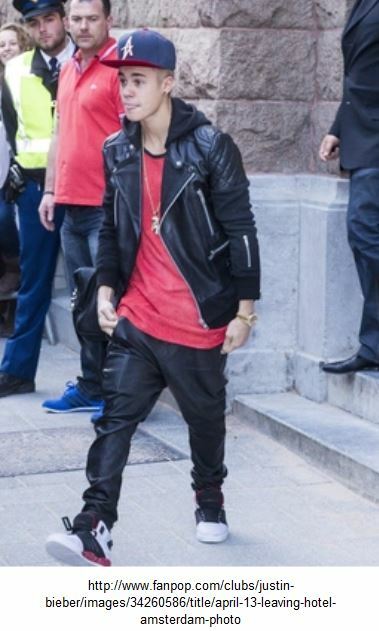 The truth seems to be that Justin Bieber, when he turned 19, may have gotten a little ahead of himself. As the talent and a newly recognized adult, Justin Bieber is surrounded by people who have no intention of telling him ‘no’. I do not blame the entourage in question. After all, since Justin is an adult, he should be held responsible for his actions. Also, he may be 19, but the people who should be telling him no based on his best interests, are also being employed by him. When your boss is overwhelmed and possibly immature in comparison to you due to being like 20 or more years younger, would you feel comfortable telling him no? Because I know I would be afraid of getting fired. And there are probably a limited amount of job openings with the perks of being directly involved with Justin Bieber’s life. He has a Porsche and a pet monkey. Think about it. That is awesome. I know Justin donates a lot of money to charities and stuff, but that’s no excuse for reckless behavior. I think he needs a reality check, like in every kids movie ever, where he wanders into the inner-city and plays basketball with poor kids or something and maybe sees the error of his ways. He also should consider tweaking his wardrobe. If you want people to treat you like an adult, you should wear clothes more often. The only people who are shirtless as often as Justin Bieber has been lately, are small children, crazy people, and trashy people. He used to have such a fresh style. He set a trend in male haircuts that has lasted almost as long as Jennifer Aniston’s did in the 90’s. He looks amazing in a tux, and frankly, I think his life started going downhill when he wore overalls to meet the Prime Minister. I think that’s who he was meeting. They said that he was wearing them because it was the only clean outfit he had or something. That, I understand. We’ve all been there before. No time to do laundry and you claim to be wearing something ironically or whatever, but why do you even own the overalls? If you think about it, that purchase was probably the very first in a series of mistakes that Justin Bieber has been making. Hopefully, he stops getting defensive and starts acknowledging that being an adult is about more than accomplishments and ages. Why Won’t Everyone Just Needs To Leave Justin Bieber Alone! Its so unfair. Everyone all over the world is just so selfish and only cares about themselves. I am a kid and I know exactly how it feels to be a kid. We need to have fun and go out with our friends and be able to live our life normally. But Justin is such an amazing singer that he can’t have any of those. He can’t have a normal life because he has all these shows and performances and like, he has to go all over the world to sing. He never ever has any time for himself to just be a normal kid and have fun. He spends all his time making everyone else happy and he has to be like sad. No one appreciates what Justin does except me. I know what Justin is going through and it’s not easy. He has no fun because he’s tired all the time. But I love you Justin and I know you’re working super hard all day every day. You need to take care of yourself Justin. Stop listening to all the haters out there and just be yourself. You need to relax a bit and get away from everyone. Come to me!! Like oh my god I would make you feel at home! I just don’t know why people need to bully kids, especially famous kids! Their life is so hard already. All the reporters always follow him wherever he goes and they don’t give him or his family any privacy. He is just never alone anywhere and he can’t relax. It’s so not fair! They know his car and they chase him everywhere he goes. Its crazy! They bully him so much. People need to just back off. He’s human too and he works so hard that he deserves a break from everyone. All the reporters just want to talk to him and when he agrees to talk to him, they ask him all these mean questions and they say such bad things him for no reason. The newspapers and magazines also put all these harsh things inside just so people would read what they write and it’s so stupid because most of it is all lies. 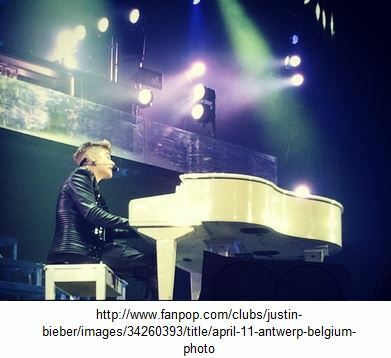 They all lie and say things like ‘he’s spoiled’ and it’s just not true. He needs to be left alone so he can be away from all the reporters and horrible people that are always chasing him. Justin needs to also get more cars so that people don’t know which one he’s in. But everyone needs to stop saying mean things to him for no reason. Like how do you expect him to sing well if he thinks people hate him! But I don’t hate you Justin. I love you and I know you never do anything wrong. People that bully Justin are just terrible people and they should just back off him because it’s so selfish. He’s just a normal guy and I know that he loves all of us too. Justin Bieber And Facial Hair?! I love when he talks to his fans because it makes him seem so much more involved with his fans than other celebrities. But I also love it because of the many pictures he posts on his twitter. His pictures range from just him lounging or just him without a shirt on. I am perfectly fine with seeing either of those pictures any time he posts them. 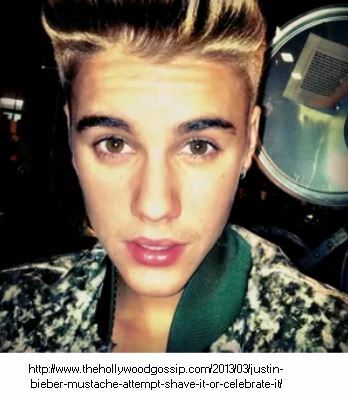 But when he posted a picture of him with…a MUSTACHE I was blown away! It didn’t even cross my mind that Justin Bieber could even grow facial hair let alone a mustache! Well to be honest it wasn’t that much of a mustache, it was more of a peach fuzz mustache! You know where the hairs are so light and there aren’t that many? Yeah, that’s exactly what that looked like! He posted the picture with a caption saying he was trying to grow out his mustache. I was so scared because I didn’t know if he was bring for real or if he was just trying to make a joke out of it. I mean Justin Bieber could never look ugly in my eyes, but with that “mustache” he just seemed kind of off! Justin is a very clean looking guy. He always has his hair done perfect and his face is always so perfect looking! Since he is getting older I was starting to wonder if he wanted to start growing facial hair so he could go for a more adult look. Luckily he then later posted yet ANOTHER photo of himself. But thankfully it was of himself WITHOUT HIS MUSTACHE! I just knew he wouldn’t keep it for that long. I was so happy to see his clean cut face again! He is only 19 so he still has a while before going into full adulthood! So I don’t think he should rush the facial hair, especially when it’s still just peach fuzz. Justin Bieber’s face is extremely flawless and perfect just the way it is so I don’t want to see any changes to it! I mean I know we can all agree that he is so cute and that he shouldn’t let any facial hair grow out until he is WAY OLDER. I think Justin Bieber should wait until maybe he is twenty-seven before he starts growing some serious facial hair. By then he will be way older and with the way he is working out all the time he will probably also be more buff than he is right now. Which is perfectly fine because then he will fit into that very mature look. Justin Bieber will ALWAYS look good but right now his porcelain face is just perfect the way it is! What do you all think? With or without a mustache? Justin Bieber is Late Again, But We Love Him Anyways Obviously! 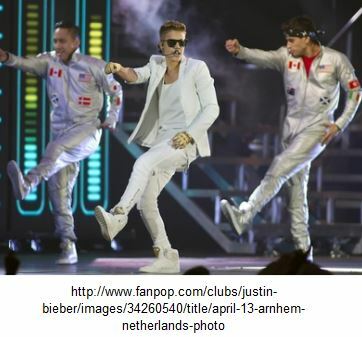 It is not that Justin Bieber is not a truly great artist, but no crowd deserves a late arrival or a no-show performer. So far 2013 has been a hectic year for Justin and the gig that was meant to be a major break through in this new phase of his career has actually knocked him down a peg or two. Unfortunately, Justin’s recent O2 Arena concert in early March has really taken a toll on Justin’s career and fans have begun to wonder what is going in with Justin. Every time Justin Bieber steps on stage the whole crowd is blown away, but recently he has gone from being the ultimate teenage heartthrob, to pre-wreck Lindsay Lohan status. Still, in spite of letting down his fans in the past couple of weeks by getting into fights and being late for his own concerts, he will still remain in our good graces for a little while longer. 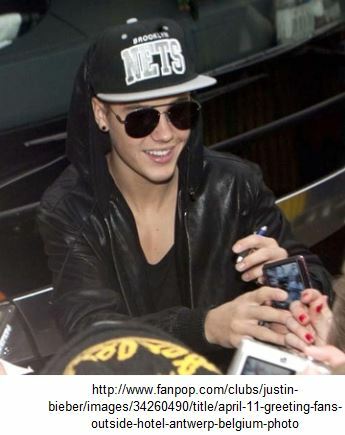 Lucky for Justin, we will give him the benefit of the doubt, just because he is really adorable. From what I hear, since I actually wasn’t able to go to the concert myself, Carly Rae Jepsen was a big hit during the show given that fans technically had not gone to go see her perform. According to sources, she gave quite the performance on the O2 Arena as she bounced around the stage giving it her all. Carly made quite the impression on the crowd, to say the least, making Justin’s follow-up performance look less personal and a tad rehearsed. To top off this night, Justin also decided to make a sales pitch of his latest two albums, Believe and Believe Acoustic, in between his performances during the concert. Whether or not marketing his album was actually what he was trying to do by asking: “How many of you in the audience own Believe?” His sales pitch is still up for interpretation. I honestly don’t know what to make of Justin’s recent outbursts, I’m sure everyone is silently hoping that all the ruckus is just a phase that comes with being an international pop star. Now, this being said I am not trying to discredit Justin, I continue to give the Biebs props for being so talented and for holding up so well under the spotlight for as long as he has. I guess lately the pressure has been turned on high and Justin just can’t take that much heat. I think it is definitely going to take more than a great entrance for Justin to make up for his late performance, and his latest hurrahs. As much as everyone may deserve going a little crazy from time to time, some of us just can’t afford that luxury. By some of us, I mean Justin. I think it’s time to remind Justin that he continues to be a role model for teenagers worldwide and it’ll be a couple of years before he can go all out without having to worry about the repercussions that his behavior may have for his fans. It is definitely a tough break for JB, and we feel for him, but everybody who goes into the music business goes in knowing that the music being made is just as important as staying in the fan’s good graces. I can’t stand that it seems everybody is just giving Justin Bieber a hard time for no reason. He’s just a normal person and he has feelings too you know. The whole world is just like saying all these mean things and putting all these bad tweets about him but he’s just trying to live his life. Ahhh he’s 19! I really really hope he enjoyed his birthday. I look forward to it all year and I’m really sad that he said it was the worst birthday ever but I know that his year will get better. Its just not fair because birthdays are special and everybody should be happy on their birthday no matter what. I just don’t know why everybody is going against him for no reason. It’s just not fair. I also don’t know why everyone hates him! They all booed him at his concerts because they said he came late. They just shouldn’t come to his concerts anymore if they’re only going to boo him. But Justin loves all his fans and I know it. He would never come late to a concert on purpose but nobody even gave him a chance to explain and they just say all these mean things about him. Justin is a nice person no matter what anyone says. Justin is tired and I know its because everyone is just telling him to do all these things and he has like no time to relax. He’s a normal person just like us and he needs to relax too. He’s always in another country or doing a concert and I’m scared he will fall sick. He needs to go on a vacation to a relaxing place like Hawaii or the Bahamas far far away from people forcing him to like work so hard. There are too many magazines and people on the Internet always saying mean things about him like about the way he dresses and the things he tweets about. I totally love his spiky, yellow hat and the pants that he wears too. It’s just new fashion and I know that all my friends love the way he dresses too. He dresses so cool! And twitter is for you to say how you feel so he should be allowed to say how he feels whenever he wants. He’s a regular person and everyone should just leave him alone. The magazine people just want to trouble him because he is famous. They always try to start fights with him by saying all these bad things to him. They’re all liars. Justin never does all those things they say he does and he’s not that kind of person. I know Justin and I love Justin no matter what. He is the same person he was before and everyone just needs to like back off so that he can live his life like a regular person. It’ll be alright Justin, I promise! I think people are all like jealous of you.